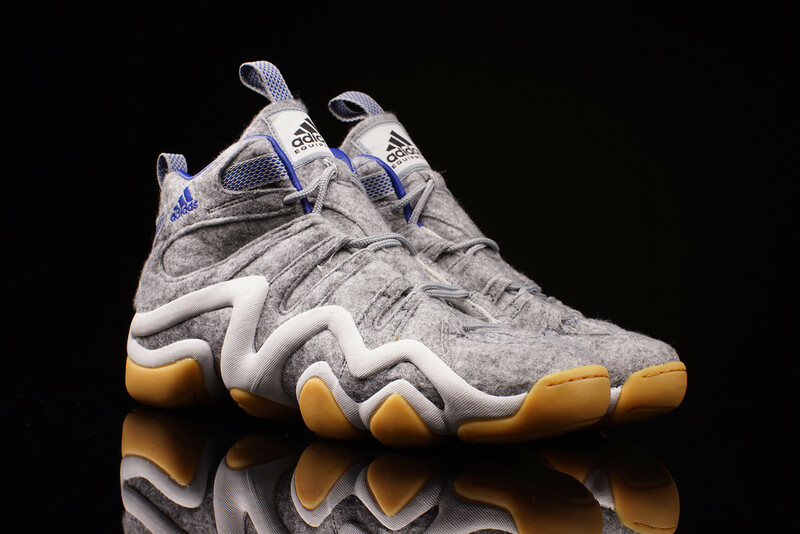 The latest for adidas’ appropriately named Crazy 8 is this bold “Wool” iteration. The muted, textural affair is a striking step for the classic silhouette. From the court to the street, these are going to certainly turn heads. Decked out in a grey wool-like upper, these fuzzy kicks are almost monochromatic, featuring accents of white and yellow via the midsole and outsole. Blue-ish tones make themselves known via the branding and lining, all in all adding up to an impressive pair of kicks. No wait required for these bad boys, score your pair now.